A lot of homeowners in Frankfort are discovering the benefits of duct cleaning. When a homeowner hires a duct cleaning service, they will see an immediate improvement in the air quality of their house. Another great benefit of a duct cleaning is an increase in efficiency. When a homeowner uses a duct cleaning service they should see a drop in their electricity bills as the airflow will increase substantially. While a lot of people want to get their air ducts cleaned, they do not know how to find reputable services. Here are three tips for a homeowner who is looking for a quality duct cleaning contractor. The best way to find a good contractor is by getting references. Anyone looking to get their ducts cleaned should ask their friends and family for a reference. Anyone who has received excellent service should be willing to recommend the service to their friends. While a recommendation from friends is great, a homeowner should dig a little deeper. Once a homeowner receives recommendations, they should look the company up on Yelp and other personal review sites. When looking online, a homeowner can see what people think of the company. A renowned company will have dozens of positive reviews. Once a homeowner gets reviews online and from friends, they are ready to call up a few contractors. Anyone seeking duct cleaning contractor should ask a few basic questions. A homeowner needs to ask what the cost of their service is and if they offer a guarantee. A homeowner should also remember, when interviewing a contractor, they should go with their instinct. 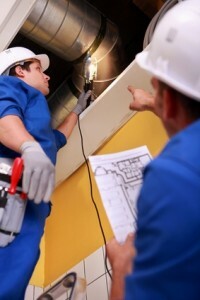 A homeowner must thoroughly research a potential duct cleaning contractor. If a homeowner asks friends for recommendations, they are well on their way to finding a skilled contractor. A homeowner should also use the Internet to narrow down his or her choice in a contractor. Once homeowner finds a great contractor they will not regret getting their ducts cleaned. MBR Services is your indoor air quality specialist in Frankfort! We will make sure your air ducts are free of dirt and allergens. Call us today at (708) 417-0725! Whenever a heating system needs to be replaced, upgraded or repaired, it is important to have the right HVAC contractor on hand. This professional understands the different models available on the market and how to repair older systems too. Experts can help home owners decide which models to invest in and can quickly install them so that people do not have to go without heat and air conditioning. When choosing a HVAC contractor, it is important to do some research about their certifications, reputation and rates. All heating contractors need to be experienced in their field. Such professionals should have necessary licenses and certifications. It is important to ask to see the contractor’s licenses. Quality professional contractors will have websites that explain their rates, services and will offer testimonials. It is appropriate for home owners to ask a heating contractor or company for testimonials from past customers. Friends, family members, coworkers and neighbors can offer great recommendations about quality heating contractors. Loved ones will be honest about rates and services. Home owners can get honest answers out of people they know. Quality contractors are insured. This protects the home owner if there are damages to the property during installation or repairs. Additionally, the heating professional should have liability insurance in case an accident happens when the technician is in the home. Lastly, the reputation of the contractors is important. One can find out this information by visiting the Better Business Bureau. Additionally, the Internet is full of great information. past customers often rate and review contractors after they have used them. Home owners should work with people who have a positive reputation in the community. Finding the right contractor ensures home owners have reliable experts to turn to when they have heating needs or questions. Such professionals can help people select energy efficient models. With one phone call, models can be selected and installed. This can be the start of a long-term relationship. Everyone should have heating experts they can call for repairs. If you’re shopping for a new heating system a heating contractor is going to give you the best advice on your purchase. Many people choose a unit that is far too large for their home, and they assume that the larger the unit the better it will work. A heating unit that is larger than needed is going to waste heat and electricity, which is going to cost you a lot of money over time. A unit that is too small for the home will also cost you more money than what’s needed. The smaller unit will have to run more frequently and use more energy to control the temperature in the home. A heating contractor is going to pick the exact size needed, and will make sure that the unit runs at an efficient rate. It’s best to find a unit over 90 percent efficient. When the heating contractor is helping you choose a new furnace ask for something that has the Energy Star label. This means the unit has been tested to be one the most efficient options on the market. A heating professional is going to be trained to work on these units, so they’ll install it for you, and also work on it if anything goes wrong. You’ll also want to ask about the manufactures warranty. Two years for the warranty would be standard, anything above that would be ideal. Ask the contractor if they’ll cover their own work as well. Without the help of a heating professional you may end up spending more on your utility bills each month because you don’t have the correct unit for your home. Get professional assistance and make sure that you get a warranty on the investment your making. Purchasing a new furnace adds value to your home, so it’s money well spent. MBR Services is your Palos Heights heating experts. For All of your HVAC needs call us anytime at (708) 417-0725 and schedule a service call. From a technological standpoint it can be argued that the heart of your home is your furnace. After all, how can you comfortably enjoy all the other features of your home if your furnace isn’t working properly? Therefore replacing your furnace is an important decision, and while it is best to consult a professional about it, there are still things you should know and think about in order to make an intelligent selection. Perhaps the most basic thing you should consider is the heating requirements of your home. That means knowing the size of your house and what size furnace is capable of handling that much space. Obviously the larger the air volume of the house the larger the size of the furnace required. Another reality that has to be faced is cost. Some furnaces have more energy saving features than others, and the more energy you can save the lower your heating costs will be. Consulting a professional is the best way to make sure that the furnace you buy has all the features you need to keep your heating bills affordable according to your budget. Remember a good furnace can last ten or even twenty years, and you don’t want to get caught with a model that wastes energy. Most people are unaware that there are also government programs that can help you afford your furnace through tax rebates or energy efficiency programs, which is another thing a professional can help you take advantage of. The efficiency of your furnace can depend on a number of factors, such as whether it runs on electricity, gas or oil. While electricity is usually the most efficient, a professional can offer guidance as to what will work best for your house. There are also government regulations to consider, and these too are things a professional can help you to become in compliance with. But as long as you do your homework and rely on professional guidance there is no reason why you can’t minimize your expenses and maximize your savings with your new furnace. During the warm and humid summer months, air conditioning is a must in many parts of the country. Cooling your home in these months can make up a large chunk of your electric bill, making prices skyrocket quicker than you thought possible. Part of these costs are from common air conditioning mistakes that can be prevented. Here are some common air conditioner mistakes that can be avoided, lowering your bill and creating a better functioning air conditioning system. 1. Many people buy the biggest air conditioner possible, thinking that it will cool their homes more efficiently than a smaller model. This isn’t usually the case. In fact, larger models are usually less energy efficient, cost more, and aren’t necessary. 2. Another common air conditioning mistake is placing the unit in an overly warm place in the home. By doing this, you are making your unit work at a much harder pace than if you placed it in a spot with little direct sunlight, which raises your electric bill substantially. 3. Most people who purchase a home air conditioning system don’t realize that they need regular maintenance to keep the home cool and improve the lifespan of the machine. It may be wise to have a professional come every few months to clean and replace the filter, along with other routine maintenance. 4. Many people will turn down the temperature on their air conditioner to a much lower degree point than is necessary. This usually happens when the house is to warm – the individual turns down the machine to a low number, thinking that this will make the house cool down faster. Instead of doing this, set the temperature to what you are comfortable at. The air conditioner will cool down at the same speed, no matter how low the temperature gets set at. 5. The last common air conditioning mistake involves the ceiling fans in your home. You may think that these don’t need to be used when you have an air conditioner installed, but by running these along with the AC unit, you will lower energy costs and cool your home more quickly. There are many ways to determine if your ducts need cleaning throughout the home. The ducts will accumulate dust and debris that gets through the filter of your air conditioning unit and heater, and also from different things around your home. Pet hair and dander can get through your vents, along with other things. As these things accumulate over time it’s going to reduce the efficiency of your furnace and air conditioner, and it’s also going to reduce the quality of air around your home. Knowing when your ducts need cleaned is going to be the key to proper maintenance. The ducts should be cleaned once a year. The best time to have this done is at the beginning of the cold weather season, so they are clean before you fire up your furnace. Not only should you have the ducts cleaned, but also the furnace itself. Accumulation inside the fire chamber and on the coils also costs you money, and cause a burning smell when you turn the unit on. If you haven’t had your ducts cleaned in the last year, you know it’s time to have them cleaned. If there are dirt marks on your carpeting or walls where the vents are, this is an indicator that the ducts have a lot of grime that’s getting pushed out by air ventilation. If you are having a hard time breathing in the home and you think it’s from allergies or asthma, this could be triggered by your dirty ducts. Getting the ducts cleaned every year is going to also allow the professionals to look for any problems in the ventilation system, or with the furnace and air conditioner. If you can’t remember when you last had them cleaned, or it’s been over 12 months you know it’s time to have it done. Cleaning your ducts will assure the air in your home is clean, contact MBR Services your Chicago duct cleaning experts. Call us anytime at (708) 417-0725 and schedule a service visit. Because no one wants to pay more than they have to, towards their home heating expenses this winter, below are a few tips to help you save some money on your home heating bills. First of all, you should always make sure that you get regular maintenance done on your home heating system by a professional approximately once every year. A poorly running furnace can actually cost you more money in the long run because it can take more energy to make it work. The professional that you hire to service the furnace should change the furnace filter as well. Changing the filter can also save you money as the furnace will work much better with a clean filter installed. The second way to save money on your home heating bills is to set the temperature on the thermostat in your home to a few degrees lower than you normally would. Although you wouldn’t think that setting the thermostat temperature just a bit lower would affect your heating bills that much, every bit of savings adds up. The third way to save money on those costly heating bills is to turn your thermostat temperature down considerably when you go on vacations. Merely turning the thermostat down to 60 degrees when you go on a vacation can help save you some money. It’s not a good idea to turn the thermostat temperature down to below 60 degrees,because it can cause plumbing pipes in the home to freeze. The fourth way to not spend so much on heating bills this winter might be to buy a more efficient heating system. Old furnaces tend to take a lot more fuel and energy to operate than do newer furnaces or other newer heating systems. It can actually be more cost efficient to buy a completely new heating system in some cases. The fifth way to make sure you’re not overpaying on heating bills this winter is to purchase a wood burning stove. Wood burning stoves can help you save considerably on your home heating bills because wood is usually a less costly heating option than fuel oil. Want to make sure your heating equipment is running smoothly? Or If you would like to learn more about furnace repair, maintenance or installation, contact MBR Services by dialing (708) 417-0725. Many scientific studies have shown that air quality circulating in our house can have a direct impact on our health. Mold and other irritant can grow inside exposed air ducts. Periodic inspection by a specialist should be carried out to ensure that the air ducts at home are performing up to par. Duct leaks can be problematic to every house owner in Mokena. When it is exposed for a long period of time, excessive moisture can gather around the air duct grates, which can lead to mold and mildew growing inside the ducts. Certain mold can release harmful toxins into the air. If they are left untreated, it can jeopardize the health of the inhabitants. Also, excessive dust and dirt build up can spoil your HVAC system. It decreases the air quality at home and reduces the efficiency of your home’s heating and cooling system. Preferably, duct inspection and cleaning should be done by trained professionals, especially when there are signs of mold, insects or rodent infestation. There are numerous benefits of air duct cleaning. Firstly, it improves the air quality at home. A clean air is especially important for people with compromised immune system, respiratory illness and those with severe allergies. Having a clean air prevents disease in a newborn baby. Secondly, duct cleaning makes house cleaning easier. After a thorough session of duct cleaning, there will be less dust in the house, thus easing the load of regular house cleaning. Lastly, it may also help you cut down on your utility bills. 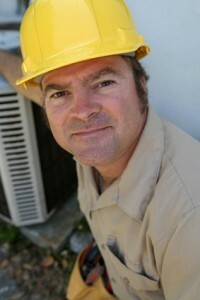 With a proper air flow, you will begin to notice that your air conditioner and your heater do not have to run as often. This could help you save a lot of money. As you can see, the benefits of duct cleaning and inspection far outweigh the cost to get it done. So, get the right tools and call the right people to put an end to duct leaks for better air quality. HVAC, which is short for heating, ventilation and air conditioning is something that is apart of most homes and is considered to be the primary energy source for most. Eventually there will come a time when you will have to hire on a HVAC company to help you reduce energy costs and or for maintenance purposes. For most families if you are looking to hire a HVAC company in Orland Park, more than likely you are in need of one right away, which means that you will want to hire a company that is trustworthy and reliable. Regardless to how you plan on choosing a HVAC company, make sure that you run through a set of questions before you make the final decisions. The first thing you will want to do is make sure that the company you are considering is certified to install equipment for you.Hiring a certified HVAC company will mean that they will be able to install your system without problems.And even if there are problems, they won’t have issues fixing them.Certification is more like a guarantee that they have a real understanding of what they are doing. Another thing you will want to be sure of is that the company is insured. Hiring a HVAC company that isn’t insured is like buying a brand new car without buying insurance. An insured company will help protect you and your property. If something goes wrong the HVAC company will be able to take care of the damages. Find out if the company you plan to hire is does tailored contracts. It has been proven time and time again that one service contract does not fit all. It might be much more comfortable to go with a company that is willing to contract around your needs. How many years has the potential company been in business? Even though a new HVAC company doesn’t mean “unworthy,” it does mean that they are not yet stable. It might be best to choose a company that has been in business for more than a few years. Any company still operating successfully means that they have a long list of happy customers. With all of the wonderful tidings fall brings, it’s only to be expected that something will offset the balance. One very annoying theme of colder weather is the elevated bill you receive after turning the heat on your Chicago home. This burden can be lessened if an investment in your home is made. By replacing your old furnace this fall, you can reap many different benefits both now and in the long run. A furnace doesn’t have to be on the fritz to turn into a money pit. If you have an older model, the chances are that it’s sucking up more power than necessary. Older furnaces have a single-stage setting that uses the same amount of power no matter the temperature. This results in large amounts of power being used whether it’s the beginning of fall or the middle of winter; not all days are the same and using less power on days when less is needed only makes sense. New furnaces use two stages so that there’s no energy or money wasted on less frigid days. With greater efficiency comes a lessened burden on the environment. The more efficient your furnace is, the less of a toll it takes on the environment. Taking steps to keep the world around us clean and safe is one way we can give back; the money you save on your utility bill is just more incentive to do it. Part of being a friend to the environment is ousting the old power-sucking machines from days before and replacing them with efficiency and effectiveness. Whether your furnace is beginning to give out, you’re sick of seeing outrageous bill or you’re a friend to the environment, there’s no reason you need to stick with antiquated equipment. By replacing your furnace this fall, you’ll bring your family comfort while relieving yourself of an alarming utility bill. New furnaces more than pay for themselves in the long run. They also bring peace of mind. Raise the value of your home and raise the value in your bank account; replacing an old furnace this fall will ensure well-rounded satisfaction for both. Is your furnace in need of service? Or is it time for an Upgrade? For all of your HVAC needs contact MBR Services, your Chicago heating specialists, at (708) 417-0725.